KEPA-ANEM is a private, non-profit company based in Thermi, Thessaloniki. It is formed from the partnership of two experienced and well-known in the business world of the country, the Business and Cultural Development Centre (KEPA) and the Development Union of Macedonia (ANEM). The company was established in 2001 with the goal of designing, implementing, and managing national and European programs and actions that benefit of the private sector and in particular of Small and Medium Enterprises (SMEs). 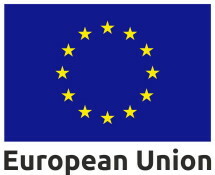 Since 2001, the company has been acting as an Intermediate Managing Authority for the management of programmes and actions co-financed by the EU, either autonomously or by participating as a partner in joint ventures (EFEPAE). The company applies high-quality services; which is depicted in the application of a certified Quality Management System according to ISO 9001:2015. Since its inception, KEPA-ANEM has successfully implemented the management of 34 Programs, providing support to 9.000 projects, with a total budget of € 1.33 billion and a public contribution of € 606.3 million. In the current programming period, KEPA-ANEM has undertaken (on behalf of EFEPAE) the management of actions and programs of the EPAnEK 2014-2020 concerning the Regions of Central and Western Macedonia. It has also developed significant collaborations and synergies with local, regional and national business and development institutions. At the same time, it has become a credible interlocutor of both the local societies and the national and European institutions mainly on issues concerning the regions of Northern Greece, in which it has developed strong links with all its business, social and economic operators. Due to its above-mentioned activities, KEPA-ANEM has become a Reference Point for Regional Development and a player of high reputation and reliability that provides its services with speed, transparency and efficiency. KEPA-ANEM vision is to become the only reference point in the management and updating of national and European programs for the benefit of the private sector, contributing decisively to sustainable regional development and the creation of new jobs. The human resources of KEPA-ANEM are one of its most important competitive advantages. It consists of highly scientific staff and skills that are constantly trained. The structure and organization of the company is characterized by flexibility and high quality management in order to achieve its goals with speed, efficiency and reliability.